On this Memorial Day weekend, I welcome the rising temperatures of summer cascading through my kitchen windows. I decide today is a great day to make breakfast so I have a look through mom’s index card holder. 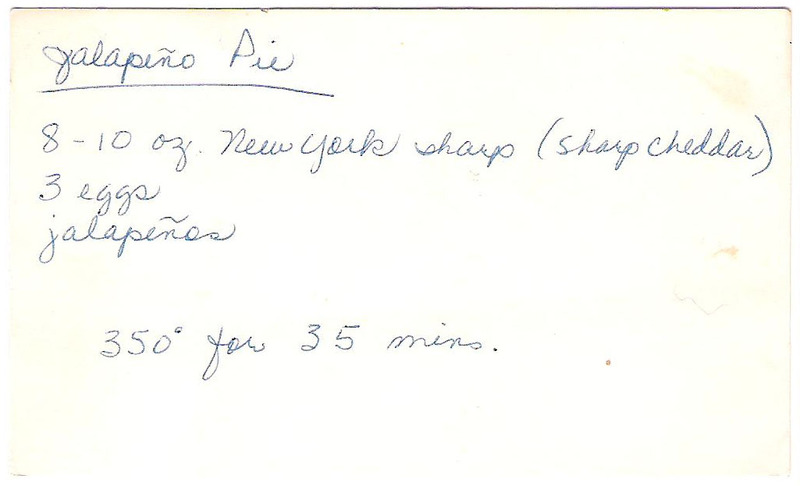 Located up front is “the one” ~ a recipe for jalapeño pie. Looks simple enough, but I’m out of jalapeños! Like the outside temperatures of May, which are on the rise, my taste buds waken from their siesta, ready for take-off. Better buckle up, buds. 1. In a small bowl, crack open and beat the eggs. 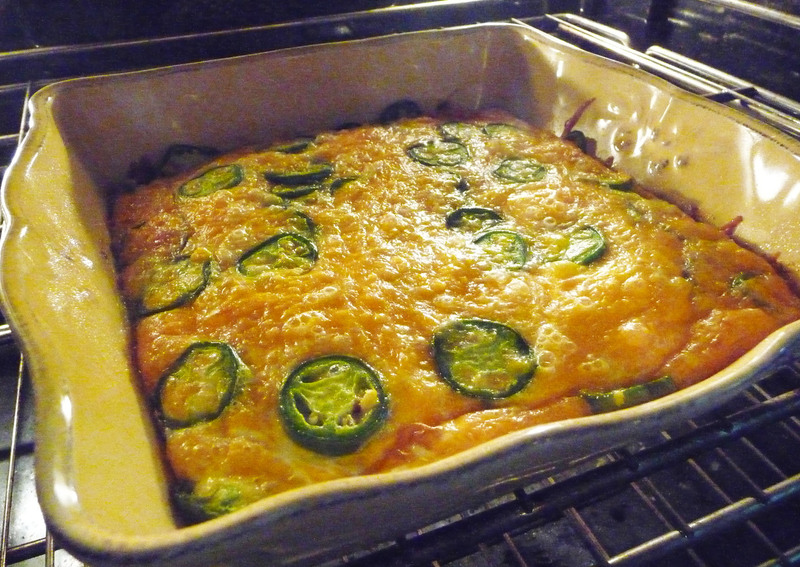 Fold-in the cheese and jalapeños until well-blended. 2. Spray the bottom of a medium-sized pan with cooking spray. 3. Pour the egg mixture in the pan and cook at 350°F for 35 minutes. Allow to cool a few minutes, then slice to serve. Shake your maracas and spank the piñata ~ you’ve just landed south of the border! 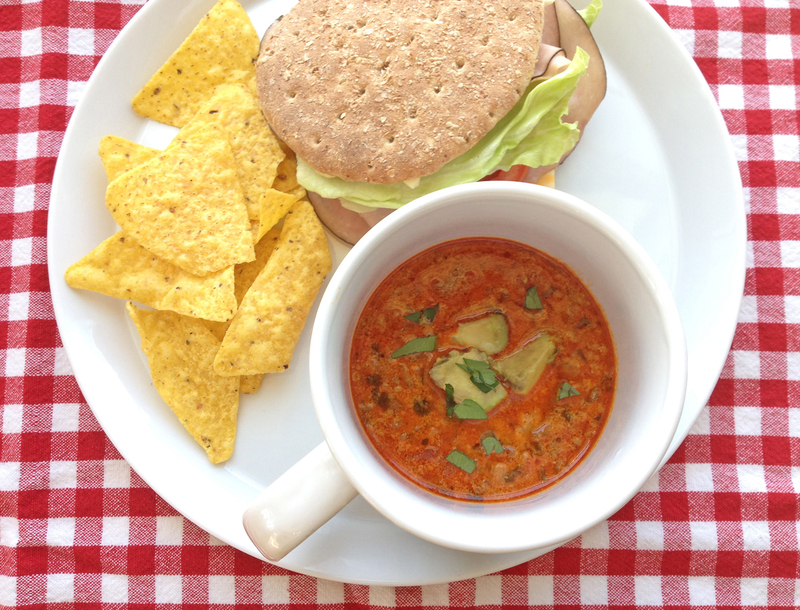 ♥ This recipe can be easily doubled for larger fiestas. ♥ You can get creative with this recipe by adding your own favorite ingredients to the egg mixture like green chilies, cooked chorizo or bacon. Mom would approve. Just remember the more ingredients you add, you may need to increase the number of eggs to ensure a proper coating. 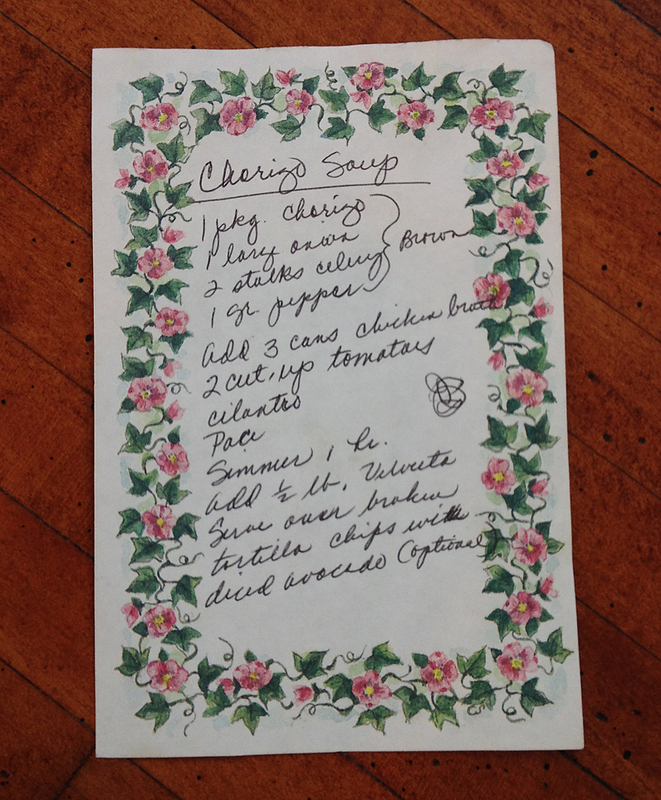 Note: I was happy to see mom’s treatment of the “n” in jalapeño, sporting a tilde. 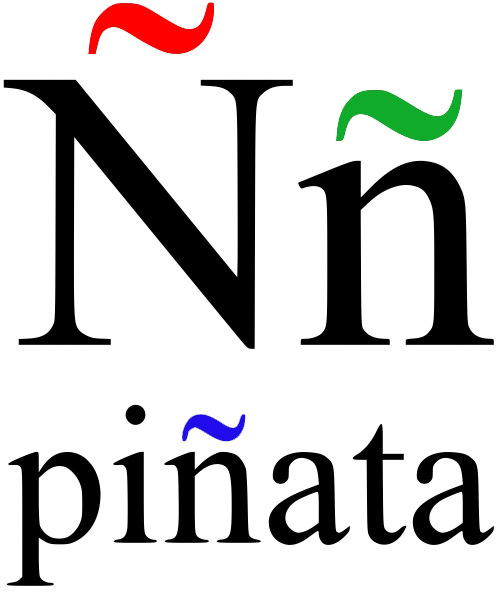 A tilde is kinda like a letter’s party hat or better yet… a sombrero (the bigger the hat…). A tilded n? This ain’t “jalapeeno” country, folks! Have a healthy appetite for the tilde like I do? Get more tasty tilde info at wiki here.